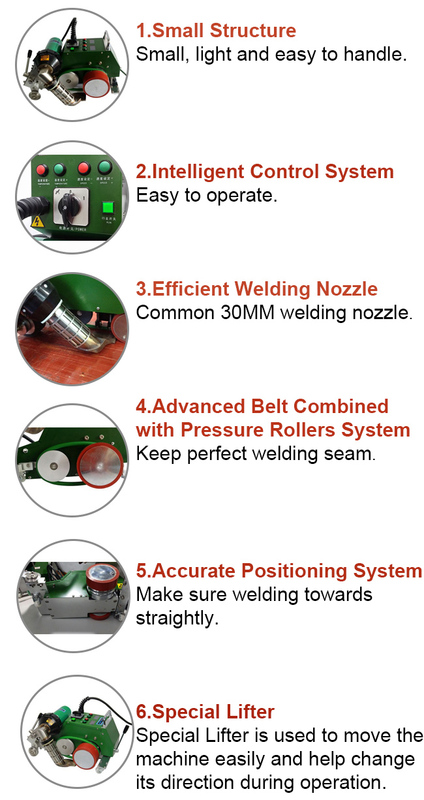 The hot air gun is controlled by auto-cooling system and adjusted continuously. It s fast and easy to joint flex banner, tarpaulins and billboards, etc with any format steadily and durably. Reasonable machinery structure makes the machine run steadiy and joint materials firmly and look flat and elaborate. Mainly used in Advertising industry, for overlap welding for fabric that coated by PVC-P, PE, TPO, ECB, CSPE, EPDM, PVDF and so on.